I can’t think of any single association that I see in my practice more than that between frequent antibiotic usage and ASD. 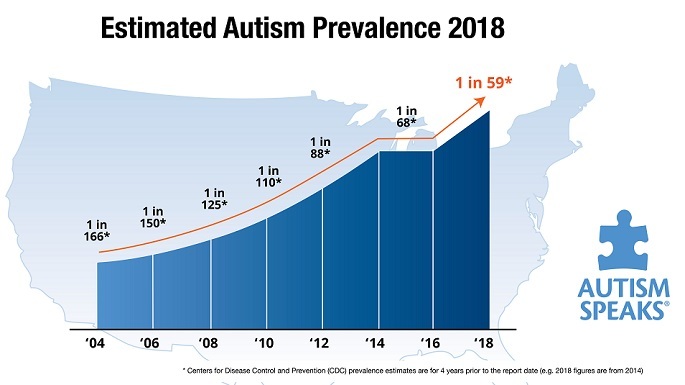 Now, I’m not saying that they cause autism, I’m just pointing out the high rates of antibiotic usage in many of my patients – especially the youngest ones. Repeated treatment for otitis media, enlarged adenoids and/or tonsils, upper respiratory infections, asthma, and eczema. There’s practically NOTHING that a pediatrician won’t give an antibiotic for – viruses, fungus, slightly increased body temperature, or just because the parents ask for them. And I’m not saying that’s its all the physician’s doing, either. How did we get here? When I was in medical school in the previous century, we were warned about the overuse and injudicious use of these prescription medicines. We were told that many kids might become allergic to the medication and so, when it might really be needed, the patient couldn’t tolerate it. We were warned that bacteria would become resistant to overuse of antibiotics and so we would constantly have to inventing new ones to fight infections. 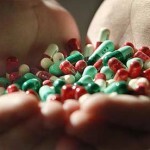 We were told that there might be bacteria that would mutate and become resistant to our drugs. We were warned about MRSA. I guess we didn’t listen. Why? First, most people think that antibiotics cure a cold. And we get lots of colds. Even the vaunted flu shots don’t seem to stop those cooties. So we get lots of antibiotics! Second, if you somehow manage NOT to get antibiotics in the first days of an upper respiratory infection, you will eventually get to the point where the patient NEEDS them, right? Wrong. “Oh, my child had a cold for 5-7 days and we finally got some antibiotics and he cleared right up! Right? Wrong. His “snot” was really gunky and green and so we knew we needed antibiotics. The color of the child’s secretions is often cited as “indicating” a bacterial infection. Ain’t necessarily so, as reported in study after study. “His nose was runny constantly”, “His ear was red”, “His tonsils were big” – all common reasons why the doctor has to prescribe them. There are antibiotics in our milk, meat, poultry, and lots of the foods that we eat. Those substances pass on through pregnant moms and into newborns and infants who are developing an enteric as well as central nervous system. Heck, the FDA even removed all of the old children’s ‘cough and cold’ preparations, so there’s really nothing else for the doctor to order. Medicine provides the promise of a quick fix. I find that the naturopathic over-the-counter treatments work just as well, anyway. Additionally, doctors are not to blame when parents insist on amoxicillin or a ‘Z-pack’ with every fever that a child develops. Many parents will go to another doctor (or a relative who is a doctor, or pharmacist), or to an ER shortly after a pediatric visit, just to elicit an antibiotic Rx. There is research directed at the environmental changes that may have led to this epidemic. Vaccinations are an emotional topic. In my practice, ‘shots’ feels more like a trigger than THE bullet. I’m still searching for a bullet(s). In the meantime, let us scrutinize the overuse of antibiotics. In children, the younger they are, and the more G-I symptoms that are treated with medication, then the more kids respond to potent probiotic (and sometimes anti-fungal) therapies. I’m not saying that the overexposure to antibiotics causes autism, but it does seem to have something to do with “the fog” and disruptive behaviors. This entry was posted on Friday, April 8th, 2011 at 11:24 am	and is filed under >ALL<, AD/HD, Alternative and Complementary Medicine for ASD, Diets, Patient experiences, Vaccines. You can follow any responses to this entry through the RSS 2.0 feed. You can leave a response, or trackback from your own site. – just keep sayin Doc, we’re out here and we’re listening. 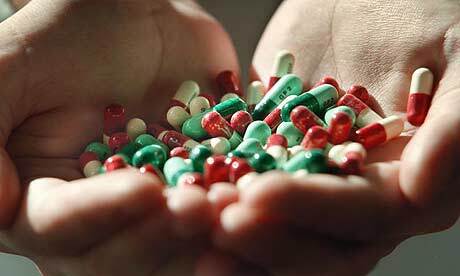 I am a father of an autistic girl and I strongly believe THE ANTIBIOTICS IN YOUNG CHILDREN IT IS RESPONSIBLE FOR THE INCREASE NUMBER OF AUTISTIC DISORDERS. I know in many cases genes can be blamed for autism but there are so many cases like my mine where nobody in my family or my wife’s family have this condition and still my daughter has been diagnosed with autism. I hope many more Doctors will be brave enough to speak out about this since the evidence it is so so clear in this matter. All parents of autistic children should unite and find out what are the antibiotics responsible for autism. My daughter received antibiotics few hours after birth for a chest infection she may never had. My grandson was born a second too early and breathed in, getting a respiratory infection. He was on intravenous antibiotics for 10 days. By the time he was 6 weeks old, I noticed that he wasn’t seeing people. My son-in-law thought he was blind. But I noticed that he stared at things, just not people. Alarmed, I did some research for the next two weeks and decided that it might be the antibiotics. I purchased some probiotics – baby acidophilous and we put a spoonful in each of his bottles. Within 3 days he began to stare at people – almost as if he had never seen a human being before. He also saw himself in a mirror, something he had never done before. We continued to give him probiotics for some time – and now give them to him if he has a cold. As a result, he is perfectly normal now and has never had a secondary infection such as respiratory or ear or sinus. I am certain that the recovery from autism was due to the probiotics. I have tried to get doctors interested in doing some research on it – but as one neuroscientist told me – there is no money in it because probiotics are so easily available on the market. bothersome to inform tthe reality nevertheless I’ll certainly come back again. Tthanks, but I won’t help you advertise. my nephew was born almost 15 years ago he was born with severe eczema he was taken to children’s hospital at two month old because his eczema had begun to affect his internal organs. my sister was told by the doctors then that the only way to save his life would be to use antibiotics but that there was a 50/50 chance that he would have a type of developmental disability because of the high doses of antibiotics that they would use on my nephew. 12 years later my nephew received a late diagnosis of high functioning autism. I also truly believed that antibiotics will cause autism.